Meet the Team — U.S. Aerial, Inc.
Tami earned her Ph.D. in Mathematical Neuroscience in 2011, but chose to leave academia behind to pursue her passions of event production & entrepreneurship. For the past 9 years, Tami has produced events of all types and sizes: live shows, non-profit fundraisers, galas, expos/fairs, conferences, summits, corporate events, and weddings. Her dance training began at the age of 3, but it wasn't until 2012 that she discovered aerial dance and quickly fell in love. She has since dedicated her life to combining her unique skill sets to promote the aerial arts through event production. She formed U.S. Aerial in January 2014 with Elaina Luparello and Jen James. Jen's training in aerial arts began in 2006 and her love of the art form continues to grow. Jen’s background in dance inspires a level of creativity on aerial apparatus that sets her apart: integration of aerial techniques and contemporary dance. In 2011, Jen developed ‘Red Velvet,’ an aerial dance class, for Crunch Gym and is proud of making aerial skills accessible to students of all levels. When Jen is not teaching, she is focused on creating and performing. She is one of the founders and choreographers of AERA Dance, a non-profit aerial dance company, and produces events for MIXT Dance, a dance-based entertainment company offering customized choreography and performers for all types of events. 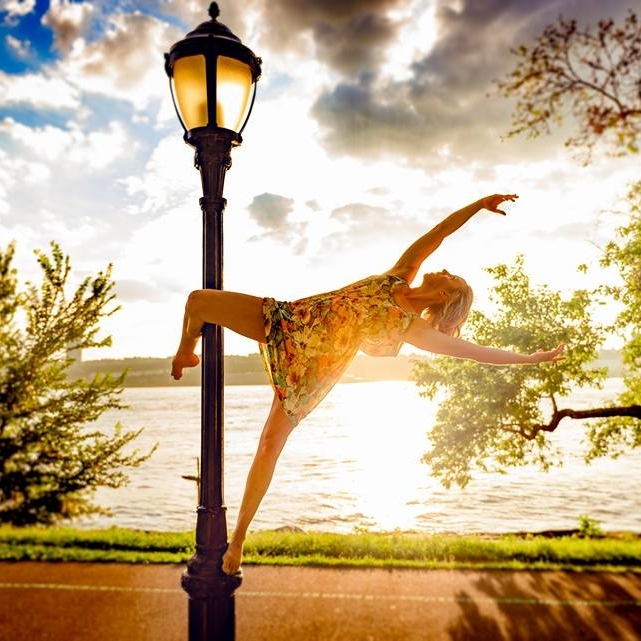 She joined Tami and Elaina in 2014 to launch U.S. Aerial, Inc.
Elaina is a professional aerialist who has performed throughout the United States and internationally for the past 7 years. With her background in Rhythmic Gymnastics, she has competed and coached for over a decade. She travels worldwide teaching her signature workshops: hammock contortion, lyra dance, and advanced lyra solo and duo tricks. She partnered with Jen James Martin to create and teach LYRACLE; aerial workshops and teacher training around the world. She is a principal dancer/aerialist for AERA. She is proud to be an instructor at the world renowned Body & Pole, and very excited to be a part of U.S. Aerial, Inc. since its launch in 2014. Rebecca is a professional Circus Artist specializing in the disciplines of Aerial Hoop, Pole Acrobatics and Contortion. She began her training as a competitive gymnast, continued as a diver and a modern dancer and eventually found Circus, Aerial Arts and the world of Pole Dance. For the past 15 years Rebecca has toured the world performing with circuses, theatrical productions and for special events as a soloist and as part of the Aerial Hoop duo, "Lyralicious" . In 2010 she discovered pole dancing and started competing in national and international competitions. Rebecca holds the title for the 2010 US Pole Dance Federation East Coast Championships and took bronze at the 2013 Arnold Pole PanAmerican Championships in Brazil. She continues to travel the world as a performer of both circus arts and pole, teaching master classes and specialty workshops all along the way. She joined the board of U.S. Aerial in 2015. Ben is an acrobatic and circus rigger with 12 years of experience in Big Tops, theatres, and open-air performances. Ben is currently touring South and Central America with Cirque Du Soleil’s CORTEO. Previous shows include Cirque Du Soleil’s La Nouba, Midnight Circus, Cirque Dreams, and Circus Smirkus. Having grown up in and around the Circus, Ben has had the opportunity to rig trapeze, silks, lyra, straps, pole, tight wire, chandeliers, and much more. Ben loves the challenges of creating new and interesting ways to move and manipulate people and props in the air. He has joined the U.S. Aerial team with the goal of bringing the circus and aerial world to the next level, safely. Janel currently resides in the San Francisco Bay Area, although she left her heart in New York City, home to U.S. Aerial. Her background is in consulting agencies on best business practices ensuring efficiency and effectiveness. She’s not all business though, she is a lover of the arts, culture and adventure. All of which we was able to experience in large doses during her world trip in 2011. When Janel isn’t working or traveling, she is quoting Jim Carrey movies and volunteering as an advocate for foster children. Janel is excited to bring her business and nonprofit experience to help U.S. Aerial continue to grow and develop. Sarah joined the U.S. Aerial team in 2014 as backstage manager. She managed the backstage seamlessly for the 2015 U.S. Aerial Championships and will reprise her role in May 2016. When she is not training, she works as a Product Manager, and is the mom to a wonderful pup, Maxi. Gain experience working for a start-up that accommodates a flexible schedule.